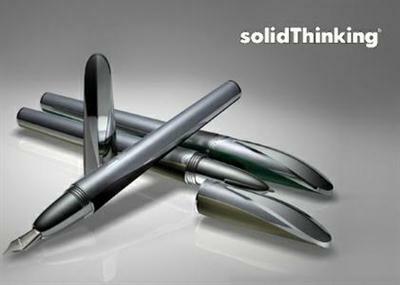 The new feature-packed release of the solidThinking Design Suite consisting of solidThinking Inspire 2017.3.1 and solidThinking Evolve 2017.3.1 is now available. For the 2017 release, the product teams employed a tireless focus on both improving current product usability, as well as adding multiple new features that have been requested by customers. Inspire was the first tool to market that focused on putting generative design in the hands of design engineers and it continues to be a world-class product. The latest release definitively positions it to be a leader for years to come. Evolve's flexibility and combination of polygonal, solid parametric, and organic surface modeling, as well as built in rendering and construction history make it one of the fastest and most flexible design tools on the market today. With Inspire 2017, we improved our already great generative design product Inspire, by adding motion tools that enable design engineers to investigate system motion to predict loads for moving parts. Evolve 2017.3. Evolve combines NURBS curve, surface, and solid modeling tools along with polygonal and point cloud modeling tools within a single 3D design application. The construction tree automatically rebuilds your model when you make changes, enabling easier design iteration, while the photo-realistic and rendering engines combine to produce stunning images of your models. - Fixed an issue causing long calculation times and freezing when using the Intersect Curve tool. Inspire 2017.3. solidThinking Inspire is a concept design tool that uses topology optimization to produce structural shapes in response to loads. The resulting shapes are polymeshes you can export to other computer-aided design tools as a source of inspiration for your designs. You can also generate .stl files for rapid prototyping. - Spot Welds: Spot welds connect surface parts together by welding them at specific locations. You can apply spot welds at any location on a surface part or at any existing point. - Lattice Optimization: Lattice optimization fills your design space with an optimized lattice structure. When you run an optimization, it creates a lattice inside the design space based on the target parameters. The lattice file can be imported into Materialise 3-matic for further processing and printing. - PolyNURBS Fitting: Use the Fit tool to automatically fit a PolyNURBS to an optimized shape. - Point Tracers for Motion: Path traces for points on a part can now be drawn with a tracer and used for geometry creation and modification. Shapes (like cams) can be synthesized from part motion by choosing to draw the path on a moving reference frame. If you move the tracers with the Move tool, the traced paths will update automatically. - Table Profile for Motion: You can now define actuator and motor profiles in terms of tabular data by using the Profile Editor. Files in .csv format may be opened by dragging and dropping them into the Profile Editor, and a Description lets you view the data when fit with a spline function. The Start Time parameter in the Property Editor allows you to delay the onset of the data, like the other built-in profile functions. - MotionSolve Plant Export for solidThinking Activate: Export (to MDL) on the Run Motion Analysis Settings window now includes plant model information (MS Plant) for motors and actuators, making it easy to replace Inspire Motion built-in controller models with detailed solidThinking Activate block diagram (1-D) solutions. Some of you might be scratching your head asking yourself, what exactly is extrusion simulation software? Well, trust me, you've seen the product of its handiwork and it's likely you've even interacted with it today. You see, extrusion simulation software like Click2Extrude 2017 is used to help metal and polymer extrusion companies simulate the interaction of their materials with the dies that shape a substance into a final form. In the past, when designs were more rigid and lacked the subtle curves that are now demanded in the automotive and aerospace industries, the process of metal and polymer extrusion didn't require advanced simulation. Today, that's hardly the case. Fortunately, the Click2Extrude suite is steadily making the process of ensuring that dies and materials work together seamlessly much more easily and scientifically. In the 2017 release, both Click2Extrude Metal and Click2Extrude Polymer are packed with new features. For its part, Click2Extrude Metal includes the ability to predict where internal defects may occur in weldments, skin tracking to identify scrap and back-end defects, a die failure prediction algorithm and quite a lot more. When it comes to Click2Extrude Polymer, the 2017 update includes die swell prediction and profile shape defects, co-extrusion analysis and the opportunity to predict clamshelling and mandrel shifts. Again, Click2Extrude Polymer features a litany of other powerful enhancements that make extrusion simulation much more thorough and easy to use. As the demand for lightweighting and aerodynamics continues to drive the extrusion markets, you can be certain that extrusion simulation software will become even more vital for manufacturers looking to capture the business of aerospace and for automotive giants looking for the cheapest and fastest solutions to their design and manufacturing challenges. free download solidThinking - Design Suite and Click2Extrude Suite Win.solidThinking - Design Suite and Click2Extrude Suite Win full from nitroflare rapidgator uploaded turbobit extabit ryushare openload littlebyte zippyshare.